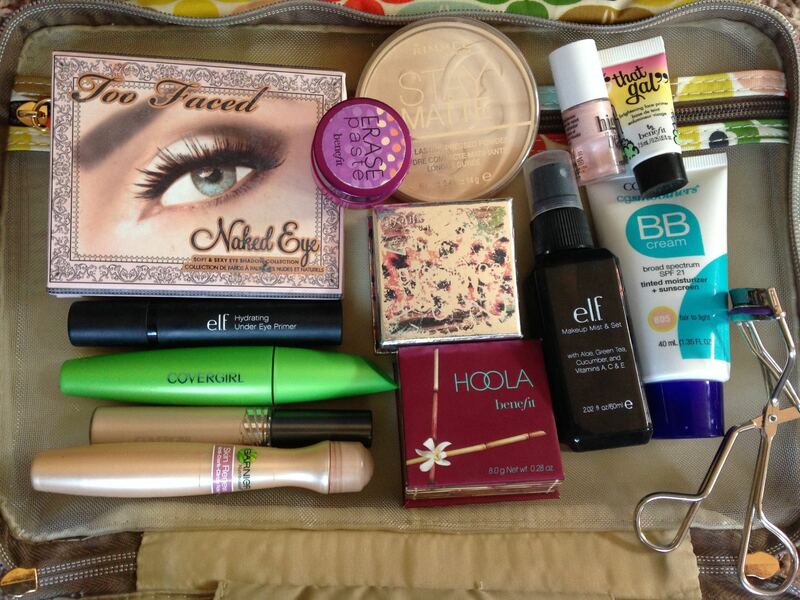 I went away for the weekend and wanted to share what was in my travel makeup/toiletries bag! I was not flying, so the products were not for a carry-on or anything like that. 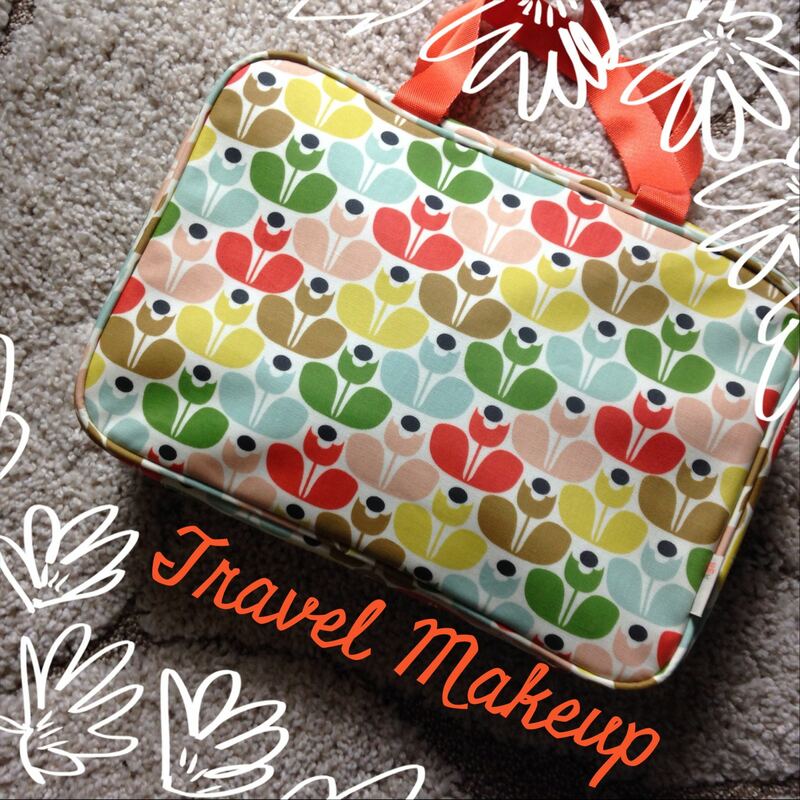 I got my travel makeup bag at Target from the Orla Kiely line. I absolutely love it. 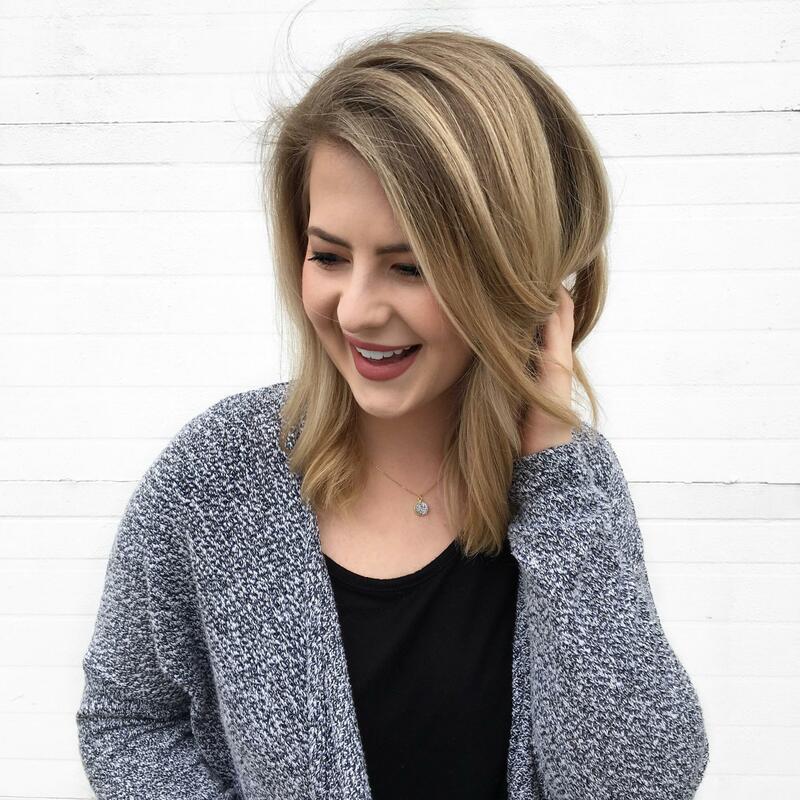 You can check out the most similar version here, although all of the prints and patterns are a nice mix of feminine/modern/cute. 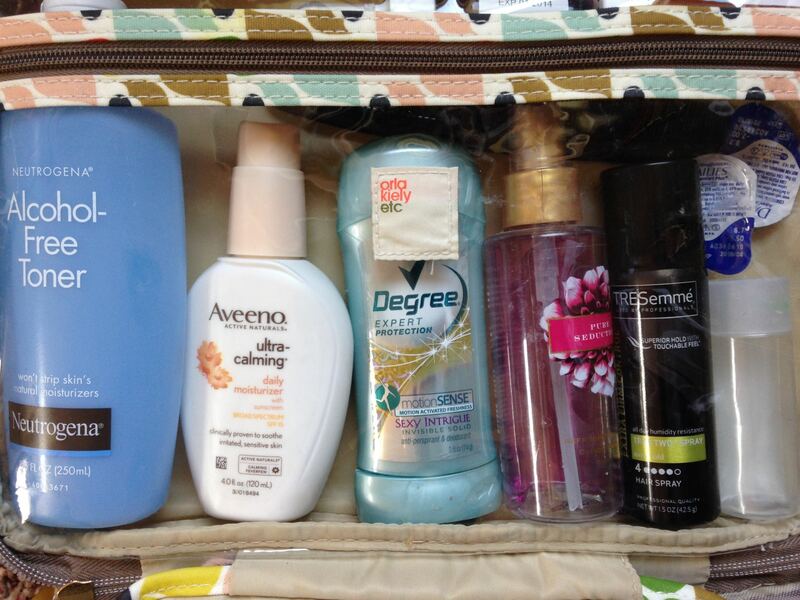 In this clear compartment, I keep spillable items: Toner, moisturizer, deodorant, body spray, hairspray, face wash, contacts, and medicine. 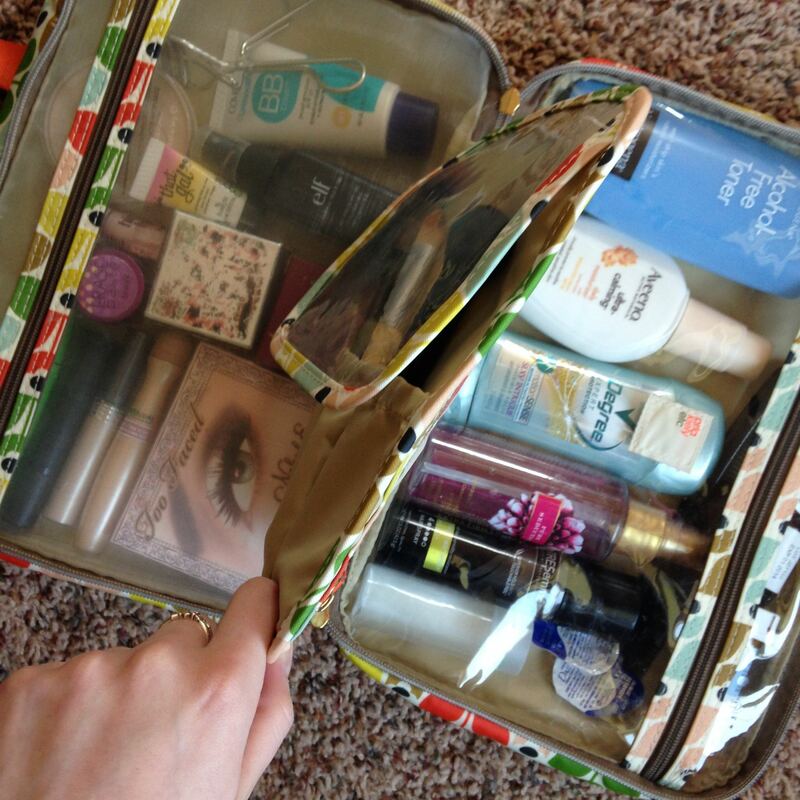 In the second compartment, I keep my makeup: Eyeshadow palette, elf under-eye primer, mascara, eyeshadow primer, concealer, concealer #2, powder, blush, bronzer, setting powder, setting spray, BB cream, mini face primer/hightlight, and my eyelash curler. 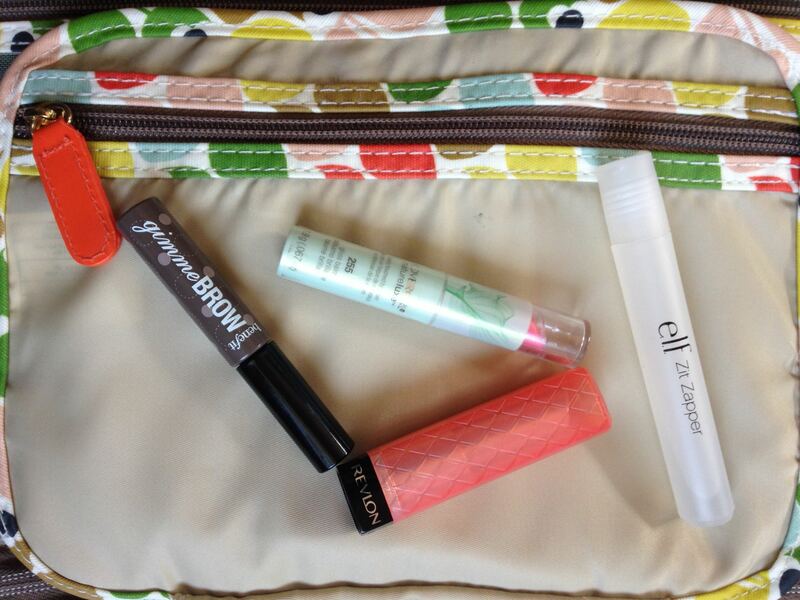 In the middle zipper compartment I keep small products: Brow, lip, and my elf zit-zapper. 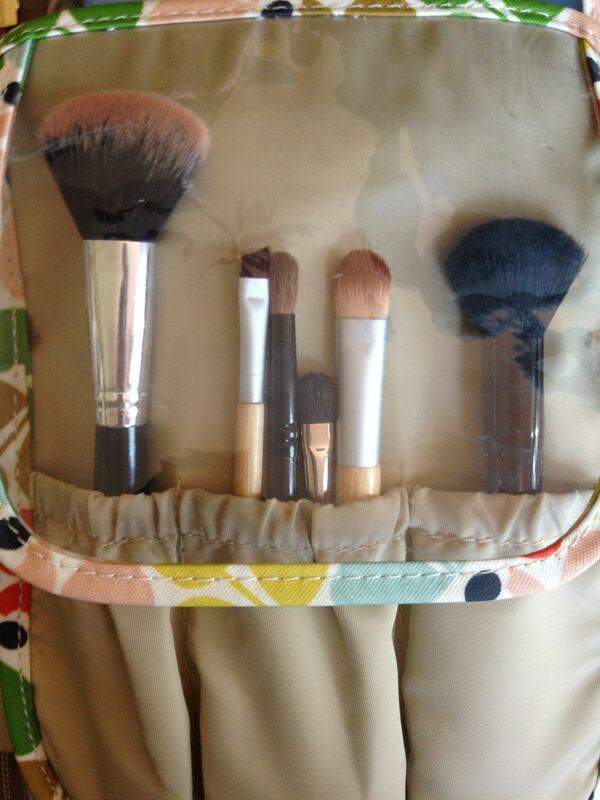 Having a brushes compartment is a great feature and they stay clean and organized in here.